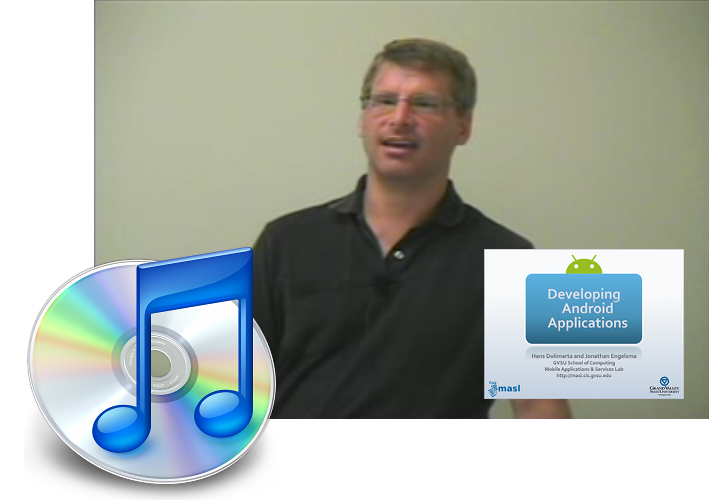 My good friend and colleague Hans Dulimarta and I recently gave a tutorial entitled “Developing Android Applications” at a conference. It’s an introduction to the Android platform, and the only assumption we make is that you already have a working knowledge of Java. You can find an outline, sample source, viewgraphs, and links to the videos on iTunes U over on our lab website. It was a lot of fun putting this together, and we hope you find it useful. Enjoy! I’d take a look at your course, but you don’t seem to have made it available anywhere except Apple’s iTunes. I don’t believe Apple is an ethically sound organisation, so I’m unwilling to install the company’s iTunes software. Can I access your course in another, independent, way? I agree, I would rather watch this from Android, why put it on iTunes? That just makes Android look second rate. a way, at least for Linux, is the tool tunesviewer.